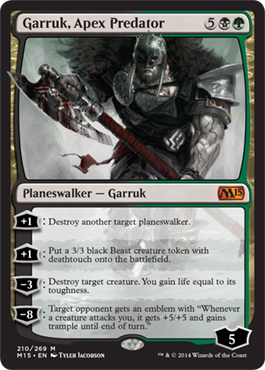 Eric's Review - The second four ability planeswalker printed, Garruk is very powerful. 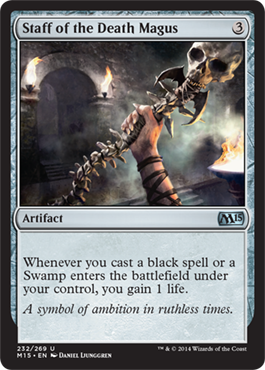 Already starting at 5 loyalty, you can either destroy a creature to gain life, put out a 3/3 with deathtouch, or destroy a planeswalker. Garruk will definitely be a target with all the abilities he has, and the -8 is deadly if it gives anyone who attacks an opponent of your choice has all their creatures get +5/+5 and trample. 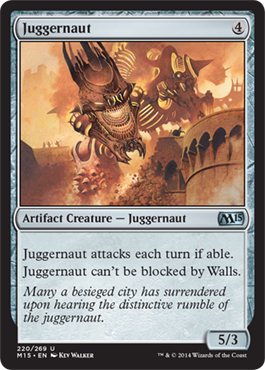 Definitely a strong Planeswalker, but there is a ton of planeswalker hate in Standard now. 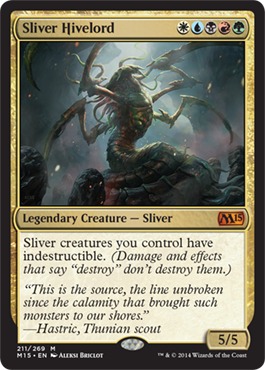 Eric's Review - The fourth Sliver legend, we've got a 5/5 creature instead of the normal 7/7, but all Slivers are indestructible. 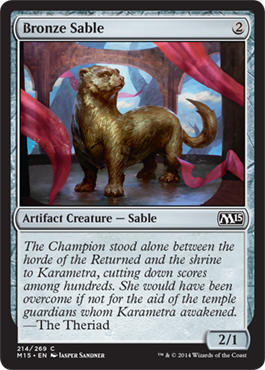 That's great and incredible, definitely a great new Sliver Legend. 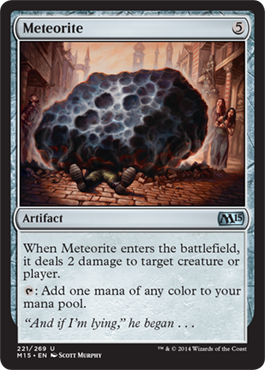 Definitely will be found in my Sliver EDH deck. 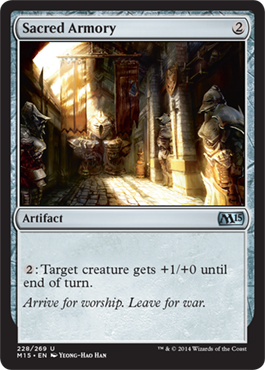 Eric's Review - This seems good, especially the boost to a creature and card draw available to any color through an artifact. The only thing I'm not a fan of is an opponent gaining control of it. Eric's Review - Seems decent enough, although definitely more of a Limited card. Eric's Review - The return of Bronze Sable is purely for limited purposes. 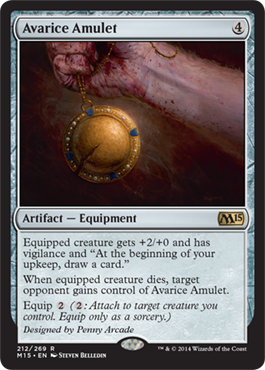 Eric's Review - The name begins with a "T," but the collector number lines up with the name just being "Chain Veil." This bothers me. However, having an artifact that checks loyalty ability use is powerful. 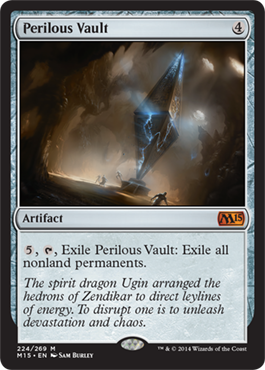 You could give it to an opponent in Commander using Zedruu. 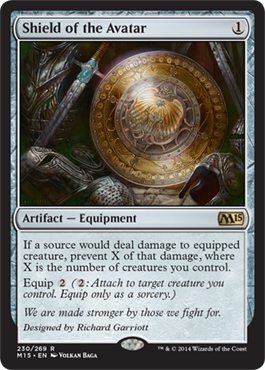 You can also use it in a "Super Friends" deck which will allow you to duplicate Planeswalker effects. 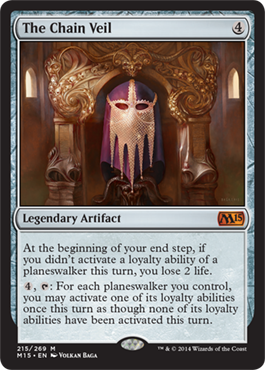 I'd use this when I can boost planeswalkers once, use Ajani Steadfast twice to add loyalty counters to other Planeswalkers, then execute several ultimate abilities. So this could be quite useful. Eric's Review - Doesn't seem bad, especially in limited. 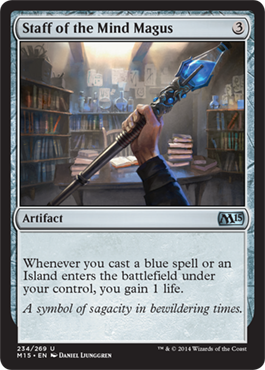 Also good for budget decks, I think. 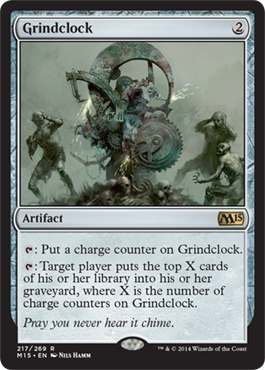 Eric's Review - Seems like a decent mill card, there just needs to be a way to duplicate counters on it for mill to work well. 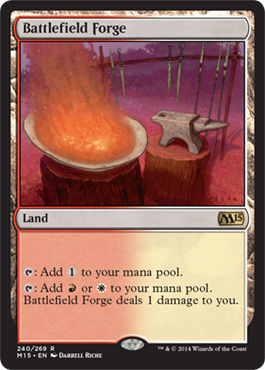 Eric's Review - A reprint from M14, you can either boost a creature by +4/+4 or else make it an artifact creature, which is a great ability, however it is a bit high in cost. Good for Limited. Eric's Review - The wall subtheme runs rampant through this set. Still, a 5/3 is a 5/3. 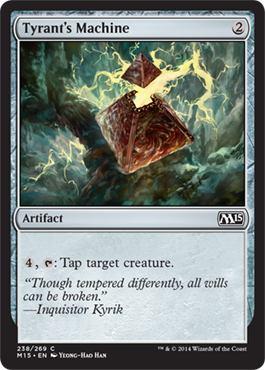 Eric's Review - A very strong artifact because every creature of a chosen type you have gets a permanent boost. This could be Humans, Slivers, Minotaurs, all kinds of creatures. Definitely powerful. 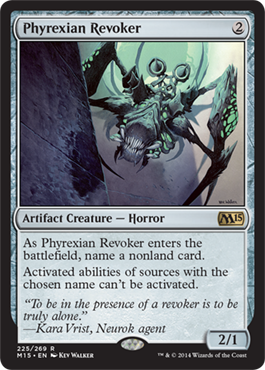 And Convoke makes it even more impressive. 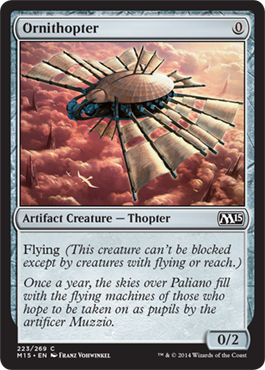 Eric's Review - A flying 0/2 creature that costs nothing is impressive, but a pity there is no power on this creature. 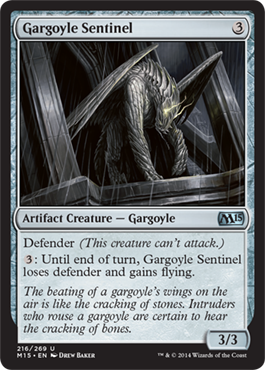 Eric's Review - The colorless destruction spell is an amazing creature. 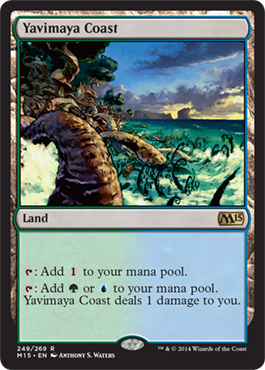 Four mana to cast, five mana to exile everything that is not a land is really powerful. 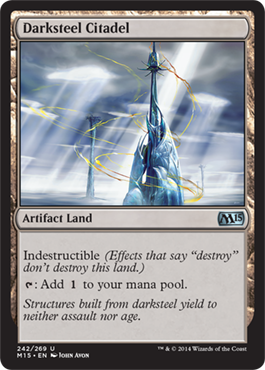 This can be paired with Nissa making all your lands creatures and then taking out everything that isn't a land. Eric's Review - The new Pithing Needle I suppose. 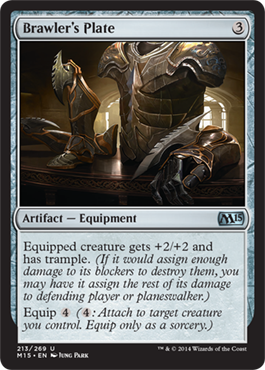 A 2/1 that blocks activated abilities like planeswalker abilities. 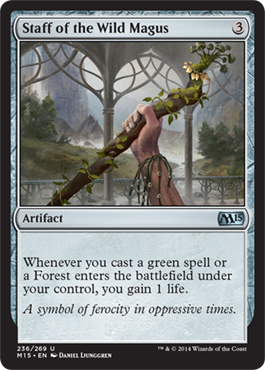 Eric's Review - Lifegain from milling seems like a decent ability on an artifact. Eric's Review - Card draw when dealing damage to an opponent. Seems good. 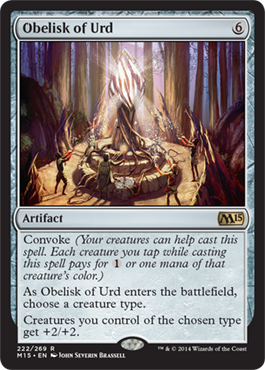 Eric's Review - A bit costly to boost individual creatures by +1/+0, but there is an artifact subtheme, so I suppose this isn't bad. 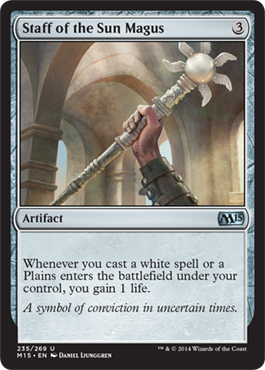 Eric's Review - A really powerful new artifact creature, a 6/6 for six is already good. 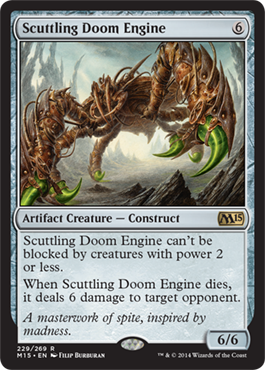 Unblockable by creatures of power two of less is better, and then six direct damage to an opponent when it dies is powerful. Definitely a powerful spell. Eric's Review - Being able to prevent a large amount of damage to a creature by having a ton of creatures on the field is powerful. Definitely a good card. 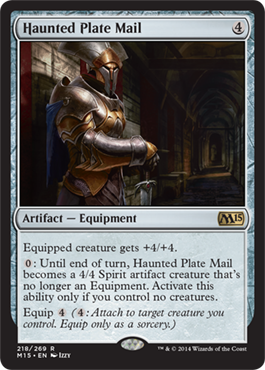 Eric's Review - The sixth and last Soul in the cycle, A 6/6 with trample and then being able to give everything indestructible on your side for a turn is definitely powerful. 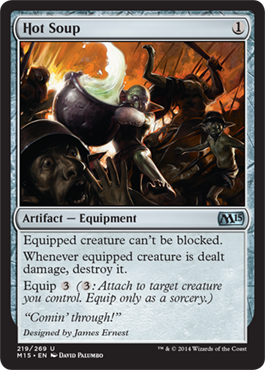 Eric's Review - The artifact that stops dredge decks is here again! Actually, I'm not excited about that. This is bad news. 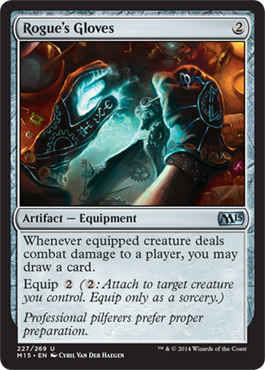 Eric's Review - Tapping a creature for four mana is a bit costly. 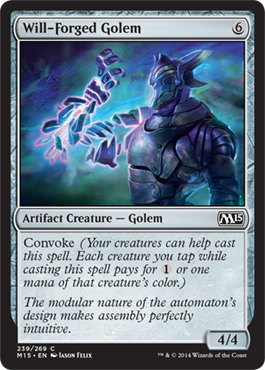 Eric's Review - It's not great, but with Convoke, it can come out that much faster. 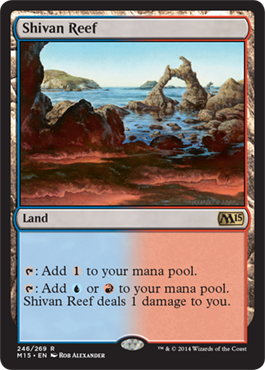 Eric's Review - Ah, the painlands... taking damage for colored mana is not great, but could be necessary for untapped access to colored mana on turn one. 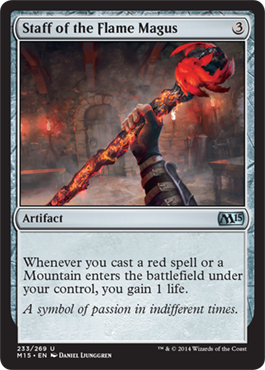 Eric's Review - An indestructible artifact which can be used with Ensoul Artifact or with this artifact subtheme that we may see in Khans. 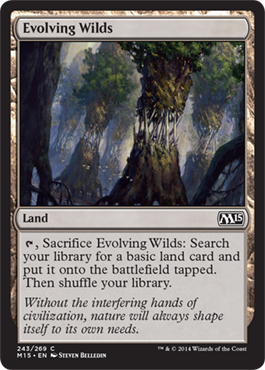 Eric's Review - One of the cheapest fetchlands available, it does put the basic land in tapped, but useful in limited and can be useful in Standard. 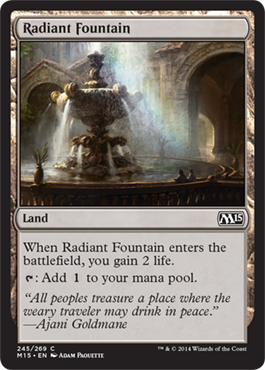 Eric's Review - Colorless mana that comes with two life. Not too bad, I suppose. 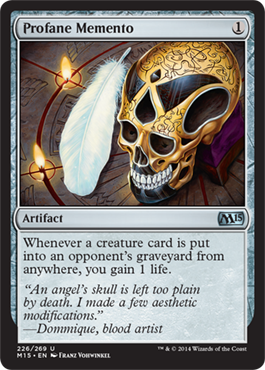 Wouldn't mind a foil of it based on the faint colors. 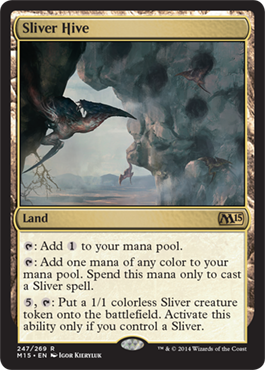 Eric's Review - Ah, a Sliver tribal land... Colorless mana, any color to cast Slivers, and then the ability to add 1/1 Sliver tokens to the field. 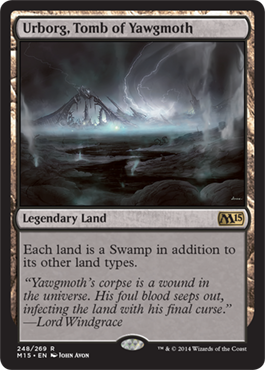 Eric's Review - A very powerful land that makes everything a Swamp. 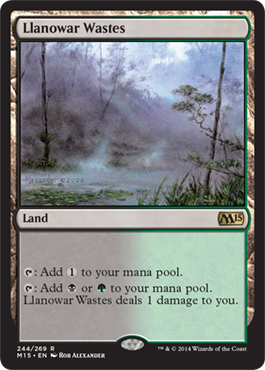 This works in the way of utilizing Swampwalk or making colorless lands tap for black. Definitely a good land.